Redefining your website's website does not just mean a new look and feel, but rather to combine it with a look and responsive design design technique. Redesign your old website is very important for achieving success and achieving business goals. Website redesign gives your business page a new look, so that you can gain a competitive edge on your competitors. A website created 5 years ago would have lost its visual appeal. A bad-looking website never encourages new customers. Therefore, it is important to periodically check the design of your website in order to survive in the competitive trading circle. Redefining your website's website does not just mean a new look and feel, but rather to combine it with a look and responsive design design technique. To really offer users, they should analyze the website's flaws and work on those flaws so that they can make it a better user experience, the purpose of which is to redesign the website from website redesign companies in India. 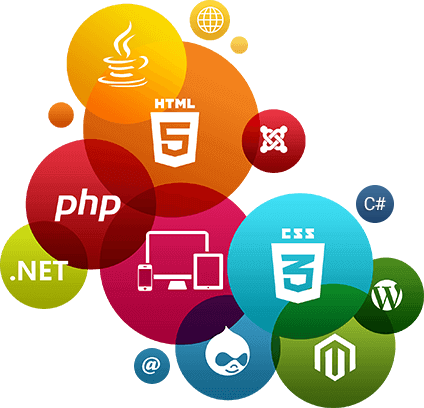 At Josoft, we have a team of experienced designers, code developers and digital marketing specialists. We update ourselves in the case of latest technologies and trends. We offer you a complete solution to redesign your old website. We select an ideal programming framework based on the clientele demands and build the blueprint keeping in mind a prolific web presence combining maximum versatility, robust structure, and greatest expansion for expected growth. Our team gives highly customizable website re-designing solutions to meet the specifications of our clients by applying object-oriented practices and overall presentation of the website. We know why most of the websites fail to achieve business objectives. Our methodology has helped increase the online conversion for businesses in all industries and work. Our team of experts will guide you on creating a visually stunning and practical website.